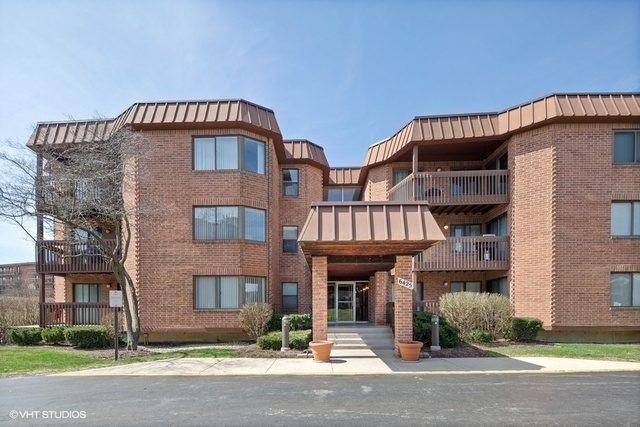 Stunning completely renovated 2 bedroom, 2 bathroom condo at The Lawns in Willowbrook. All you need to do is move in! The home flows seamlessly with wood laminate floors, crown molding, and solid wood doors throughout and features a chefs dream kitchen with Frigidaire Gallery stainless steel appliances, soft close cabinets, butcher block counter tops, and tons of counter space and cabinet space for storage and entertaining. The spacious master bedroom features a walk in closet and custom en suite! Both bathrooms have been updated with beautiful porcelain and glass tile accents. All of the closets throughout the home have been fitted with Rubbermaid modular closet organizers for optimal customization. The Lawns community features an in-ground pool and tennis courts perfect for entertaining in the summer! One covered and heated garage parking space along with 2 storage lockers included with the home.